(This post originally appeared on Young-Diplomats.com and is written by David Allouche). 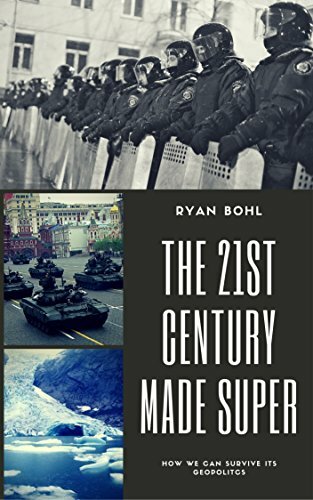 France has been efficiently defending its interests in those countries through cultural and economic power, coupled with dozens of covert actions to overthrow leaders that refused to preserve France’s interests. France has used mercenaries, the most famous being Bob Denard, who participated in dozens of attempted coups in Africa and did hundreds of covert actions for various French governments, both left and right wing. Since the ‘decolonization’ era after WW2 , France has interestingly kept close and friendly ties with its former colonies in Africa. France was unable and unwilling to retain strong links with Indochina that was a former French colony, but with Africa it is a different story. Indeed, quickly after the decolonization era, a new word was created “Franceafrique” to designate France’s unique relationship with its former African colonies and the Belgian colonies in Africa (the Congo, for example). France has deployed an unusually ruthless attitude to safeguard its interests in its former colonies and in French-speaking Africa, far from the image of the ‘country of human rights’ it likes to present on the international stage. Still, in the 21st century France’s relationship with Francophone African countries has evolved, and the rules of the game have changed. Sarkozy and Hollande, the two latest French presidents, have declared an end to Franceafrique, condemning it as a kind of neocolonialism. But more importantly, China has started to invest heavily in Africa and has been able to significantly reduce France’s influence in the region. Still, France’s interests have pushed the successive governments to launch intelligence and military operations on the African continent, notably to counter the Jihadi threat and the continuous rise of Islamists organisations, which threatens to endanger the whole region and have repercussions in Paris, home to a large African community. France launched recently Operation Barkhane and Operation Serval in Mali and in the Sahel Region. France has also been involved in a temporary peace-keeping campaign in the Central African Republic through Operation Sangaris. 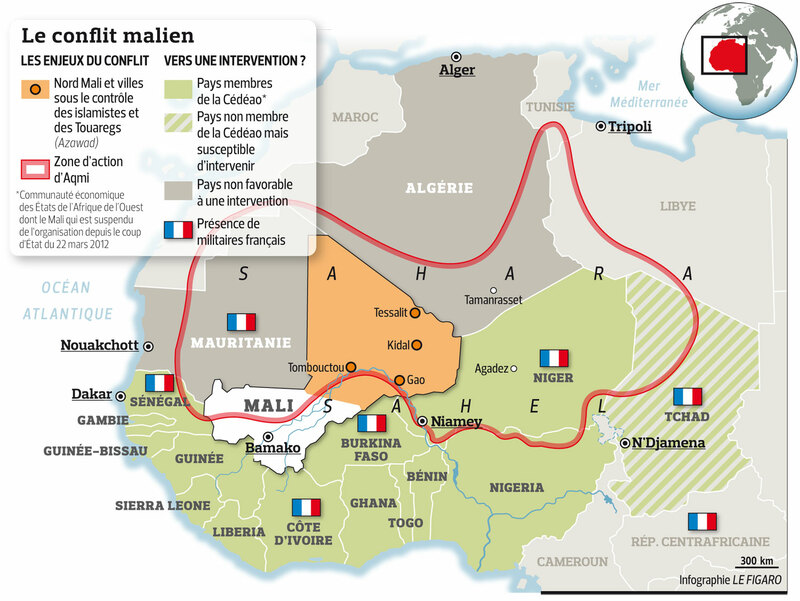 France is seen as the only strong force that could ensure stability in the region, notably the strategic Sahel Region. France’s role has become ever more important since the latest intervention in Libya, where the dictator Gadhafi was overthrown. The result was a civil war between the different factions in Libya, which most importantly created an influx of both light and heavy weapons in the Sahel regions, arming and reinforcing the Islamist groups in Mali and Algeria. These groups took over an important part of Northern Mali in 2015 and forced the French to intervene to impeach an Islamist takeover of the entire country. Paris can tolerate a certain level of instability in the Sahel region, but the takeover of an entire country and the fear of an Islamist spillover in the whole region (which is predominantly Muslim) convinced Francois Hollande to intervene. The past few conflicts in which France intervened often caused a near total collapse of the government and threatened the security of the environment, particularly in the case of its former colonies in west Africa. In this regard, Mauritania will definitely be the location of the next French intervention. Mauritania is a weak country that for a long time has used its meager economic resources to buy support for the government in Nouakchott. The country is indeed a Muslim country divided into various tribal factions. The Mauritanian people belong first to their tribal and ethnic group before feeling a national identity. But for the past few years, the country’s main resources have been decreasing. More alarmingly, the presidential tribal clan is taking an ever larger share of these resources, endangering the relative tribal peace that has been prevailing over the past years. Therefore, Mauritania’s tribal factions, whose support is vital to preserve peace in Mauritania, have become more and more active these past months. There are three tribal factions: the Moors (Bidhan) represent 30% of the Population, the Haratins (40%), and the West Africans (Wolof, Bamara, Soninke) make up the rest. On top of this, the country’s president Mohamed Uld Abdel Aziz, who has been in power since a coup in 2009 (the country has a long history of military coups) recently declared that he will seek a controversial third term in power. If he is serious about running for office again, this could create clashes and widen the gaps between the different tribal groups of the country, potentially bringing political instability and an attempted coup. In addition to this explosive situation, the current French Operation Serval has pushed all the terrorists out of their safe haven, and many have taken refuge in Mauritania, which is outside the scope of the French Forces’ actions. Regional terrorist groups such as Al Qaeda (AQIM in the region) have always used the country as a transit zone for their attacks in neighbouring countries, with the current government turning a blind eye to the fact that it has terrorists operating on its soil to strike other countries. These terrorist groups could benefit from Mauritania’s lack of leadership and side with the dissatisfied tribal groups, who have the advantage of being Sunni Muslims. The terrorist groups could also ally with other tribal leaders and create an alliance against the President and his clan. France, whose main interest in the region is stability, could come to the conclusion that Abdel Aziz is a threat to regional security. He made agreements with terrorist groups fighting French forces in Operations Serval. These two factors could push Paris to support a coalition of moderate rebels, with the intelligence and logistics to overthrow the President. Still, if that does not work and that the country plunges into chaos and instability, Paris will probably seek to intervene directly using its forces already present in the Sahel for operation Serval. Other international players, such as the UN or the US, would probably support – as always – a French move in the country to avoid further regional instability. France is seen as and remains the only country with the interest and the ability to perform such a mission. France is considered as the western country that has the most regional knowledge about Africa and how to undertake military missions there. When Mauritania officially plunges into chaos and becomes a failed state, who do you think will intervene? This situation would probably happen before 2020. So what is there to gain there for France by intervening? I dont really see many advantages.